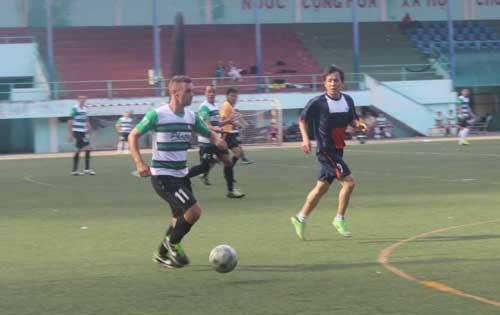 The league starts well this season fro Saigon Hotshots who are still unbeaten after 4 games. Unfortunately, our first victory 5-2 against Saigon Bizzmen does not count as they dropped the league. Nevertheless, without counting this game, we are second in the league with one game in hand. Our scorer Kevin Fox is in a good shape and already count 7 goals in 4 games. 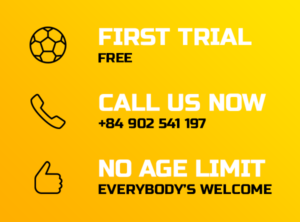 This season have seen some addition to the team and we are glad to welcome more players from different part of the world willing to join us. Ally, another Tottenham fan, joined us from China and is leading our training sessions every Tuesdays at 7:30pm. Everybody is welcome to join. Last weekend, Hotshots confirmed their good start by beating 5-0 Gemadept which previously show good performance against Olympique (2-2) and even a win against NTV (3-2). Kevin Fox scored another 3 goals while Ally scored his second goal of the season and Zugovic his fourth goals in just 2 games.